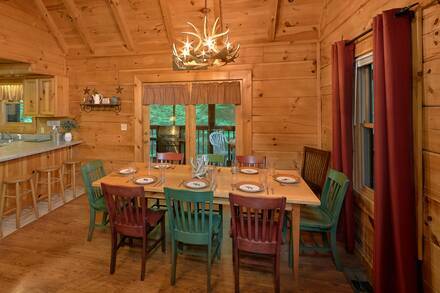 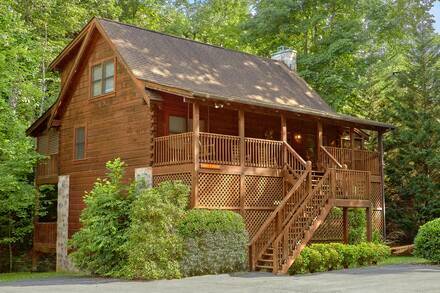 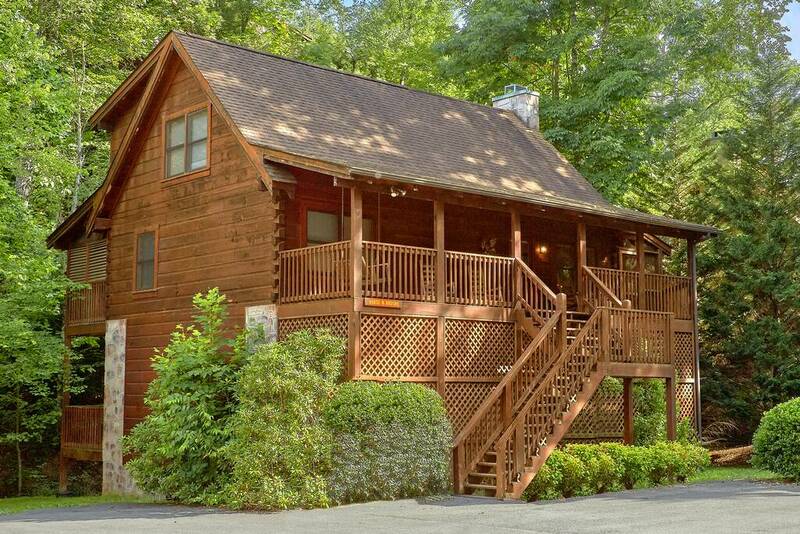 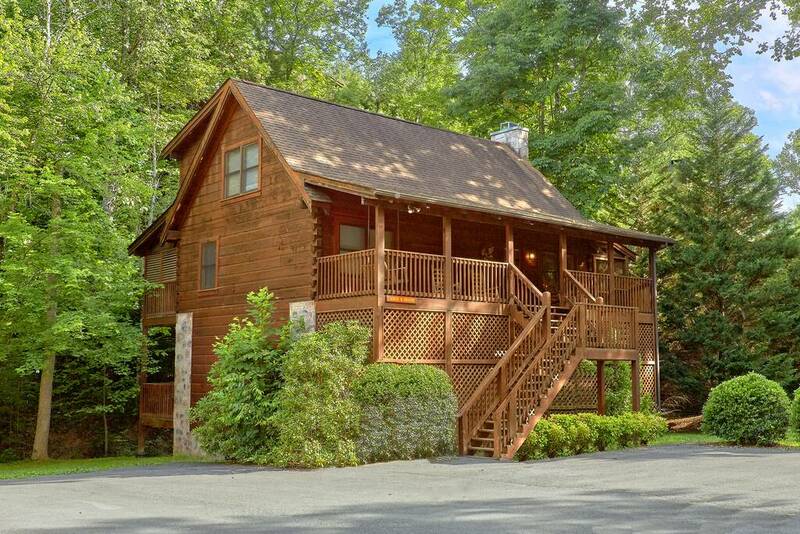 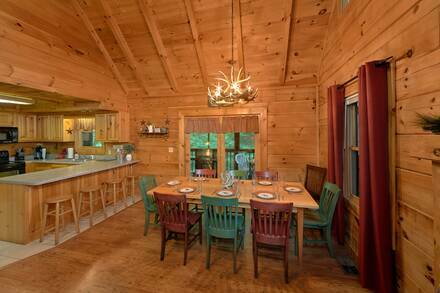 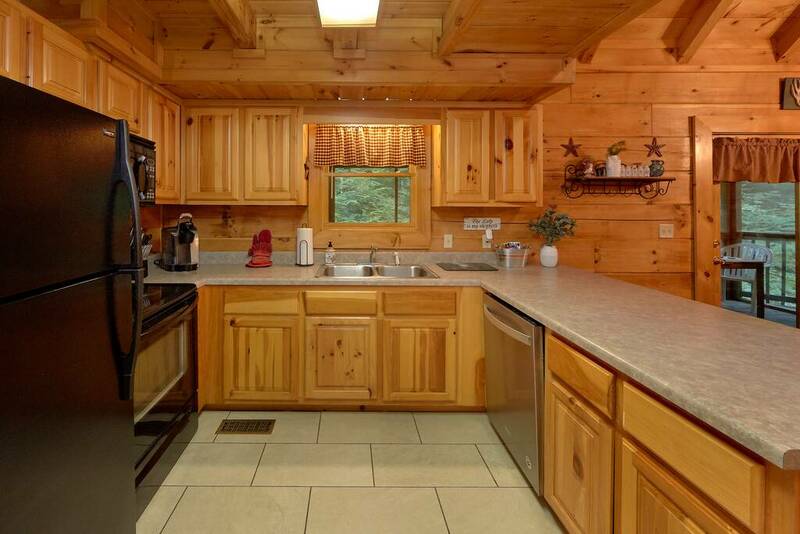 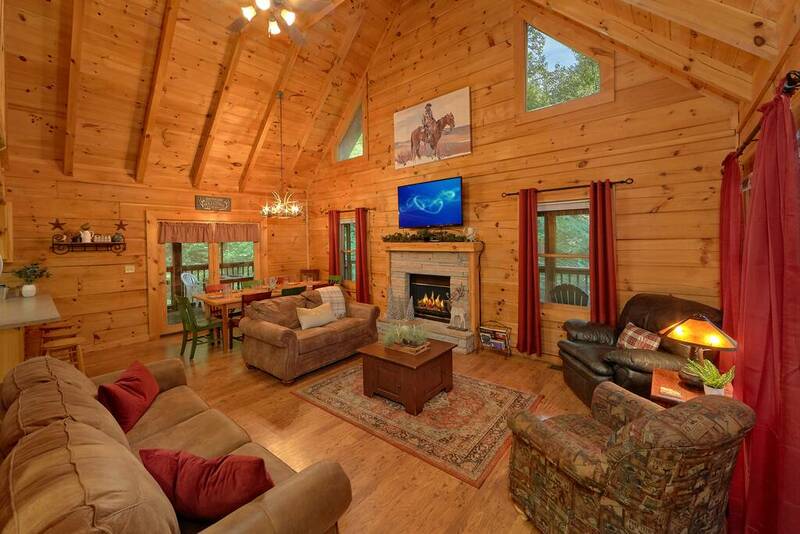 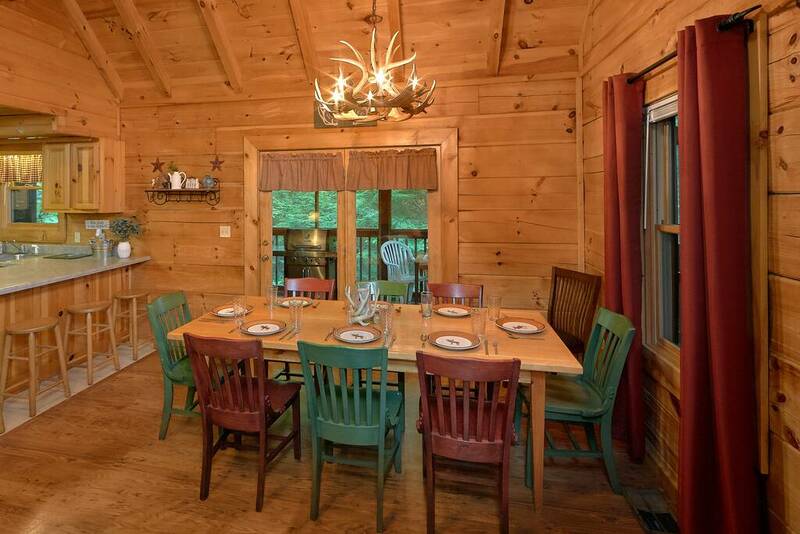 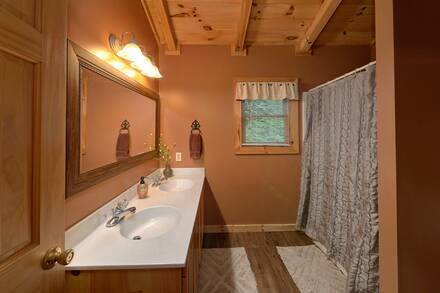 One of the most spacious large cabins in the Smokies, Horse N Around is a great choice for a family reunion, wedding party, or group getaway. It has plenty of spaces to gather, but with five bedrooms and four bathrooms, there is room for everyone. 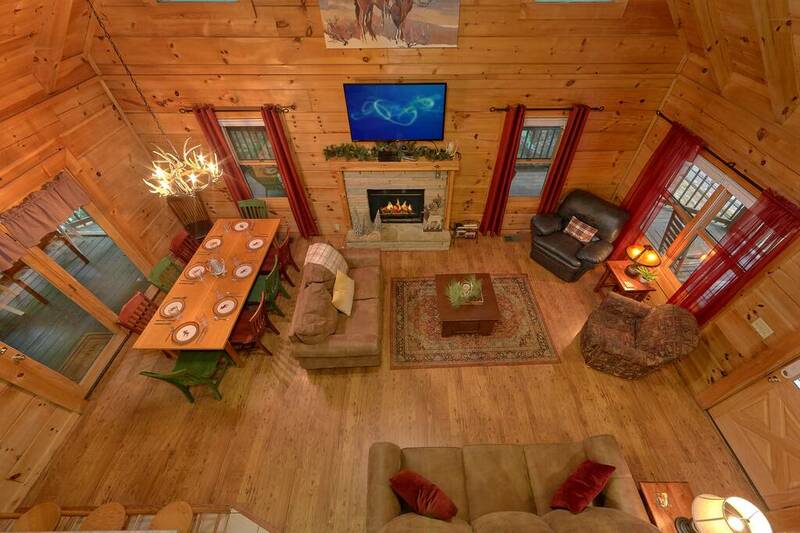 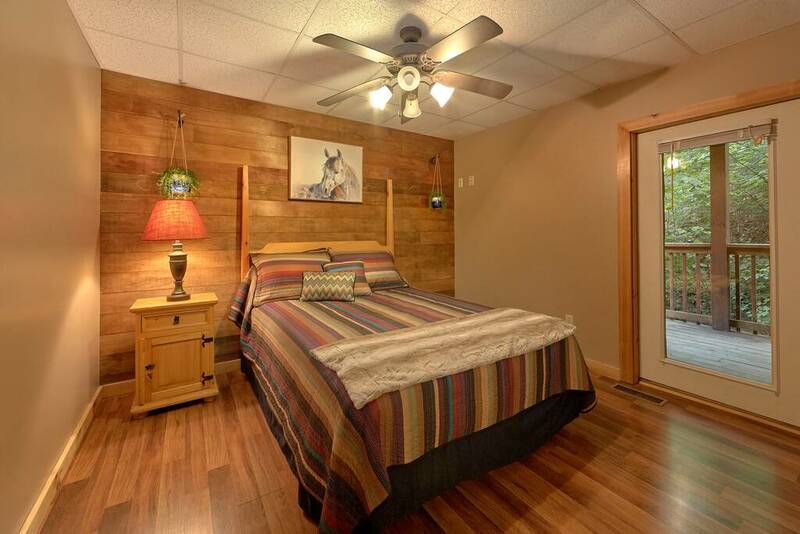 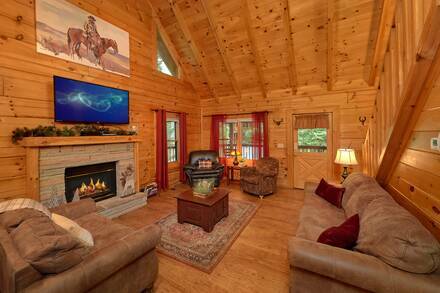 Another advantage of staying in a large cabin in the Smokies are the deluxe features, like Horse N Around’s movie room and spacious master suite. 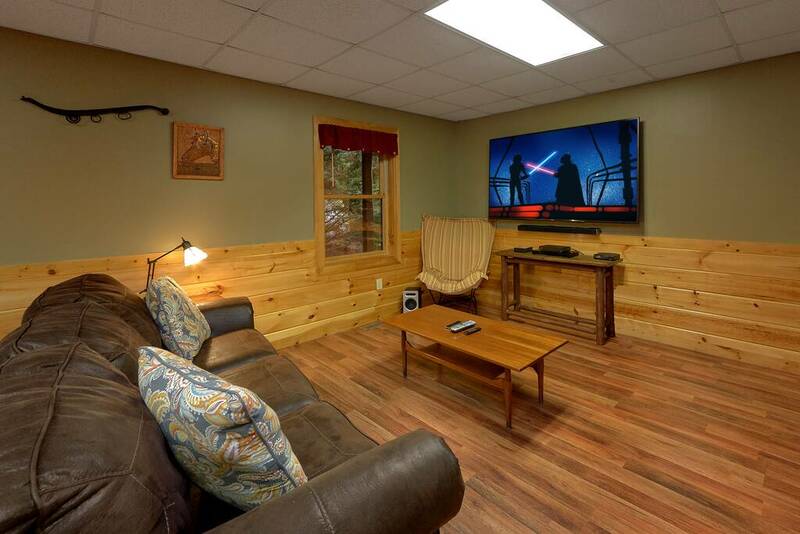 Choose one of the two large common areas to enjoy as a group or start a friendly competition in the movie room while everyone else snuggles up in front of the living room fire. 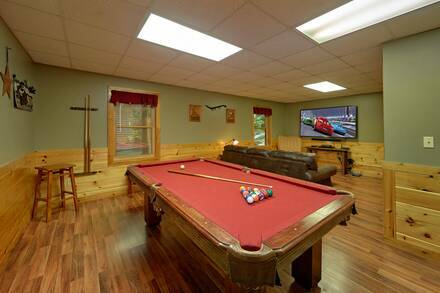 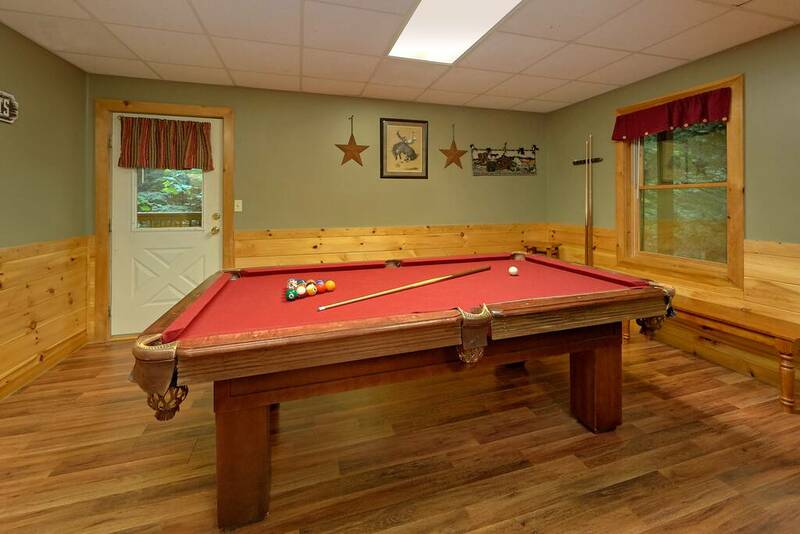 Put a flick on the large flat-screen in the movie area or challenge someone to a game of pool. A nearby arcade system has 50 games. Meanwhile, the living room has a stone fireplace and plenty of comfy seats. 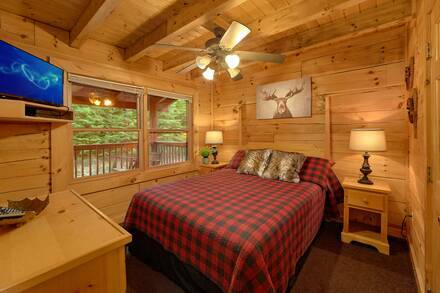 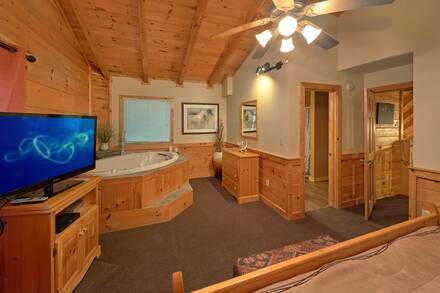 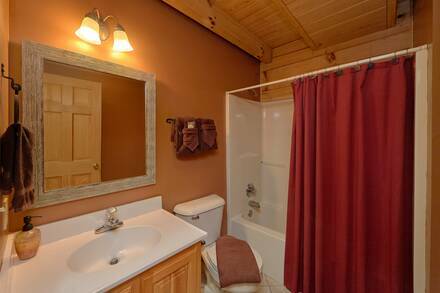 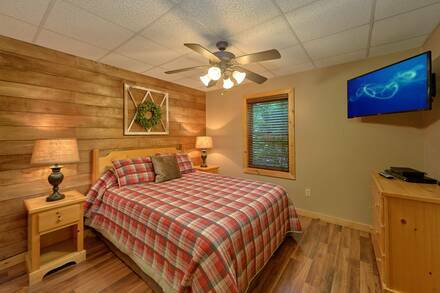 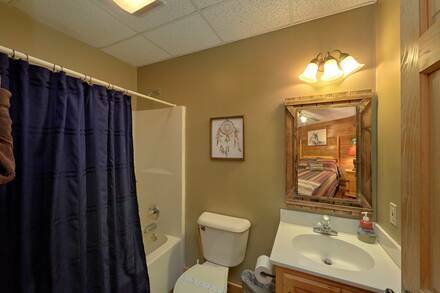 Even if you are with a large group, the master suite is perfect for lovebirds who need some time to themselves. This amazing spot has a king bed, large flat-screen television, and a full bathroom. 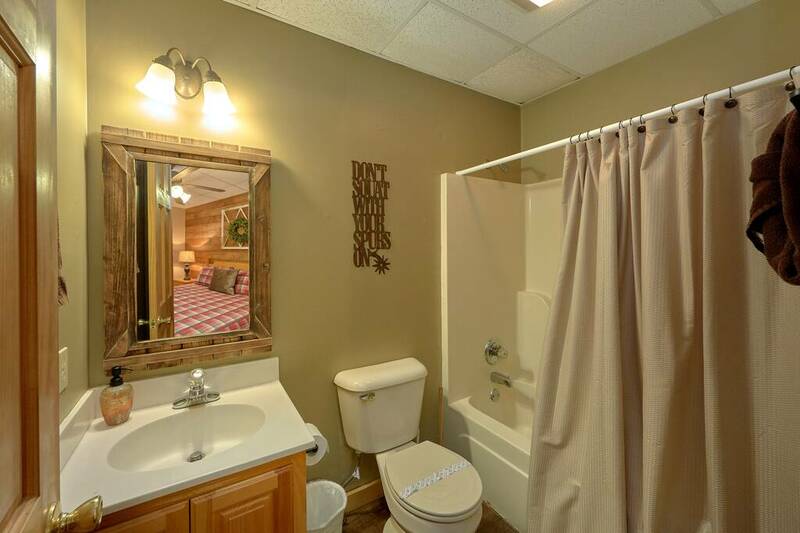 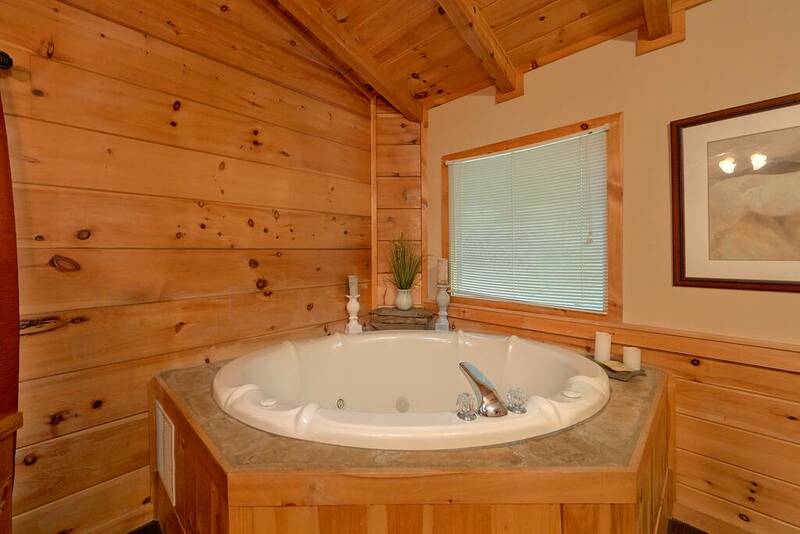 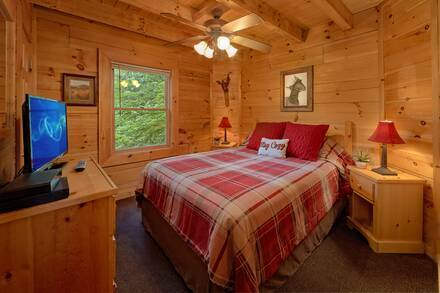 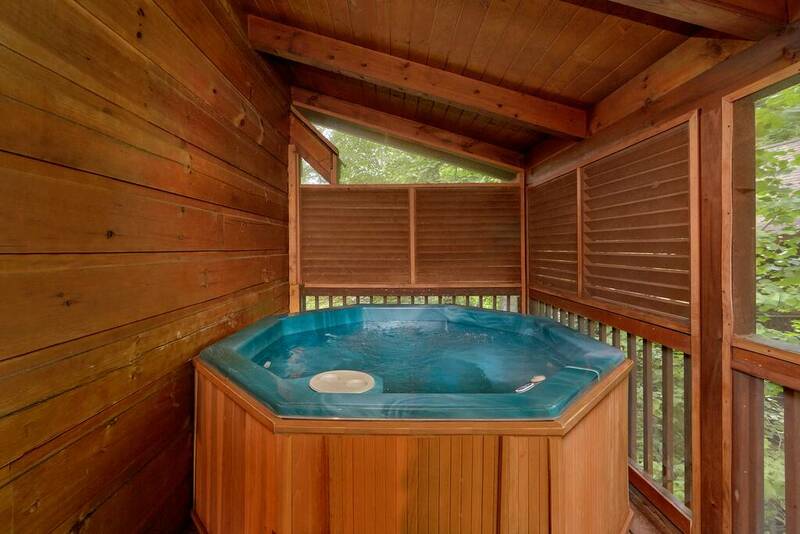 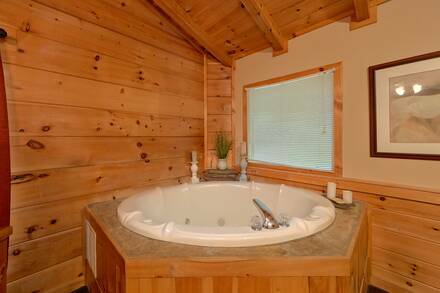 The real show-stealer, though, is the large, wood panel-mounted jacuzzi in the sizeable bedroom. 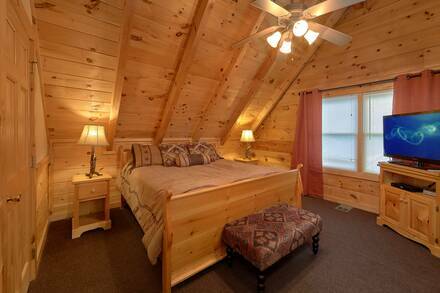 The four other bedrooms also offer a luxurious setting, with warm wood panelling, flat-screen televisions, queen beds, and rustic yet understated décor. 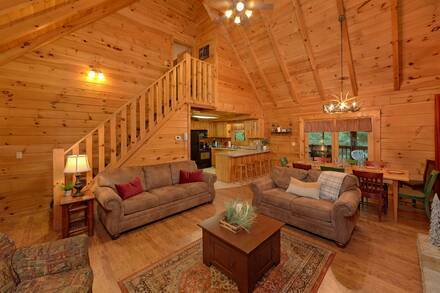 A pair of sleeper sofas means up to 14 people can enjoy this cabin. 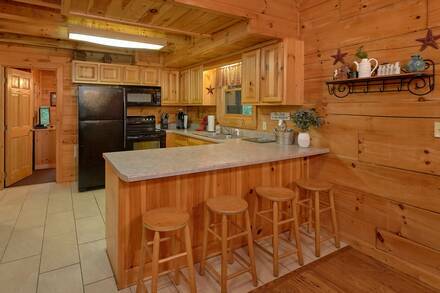 A full kitchen makes it easy to cater for everyone. 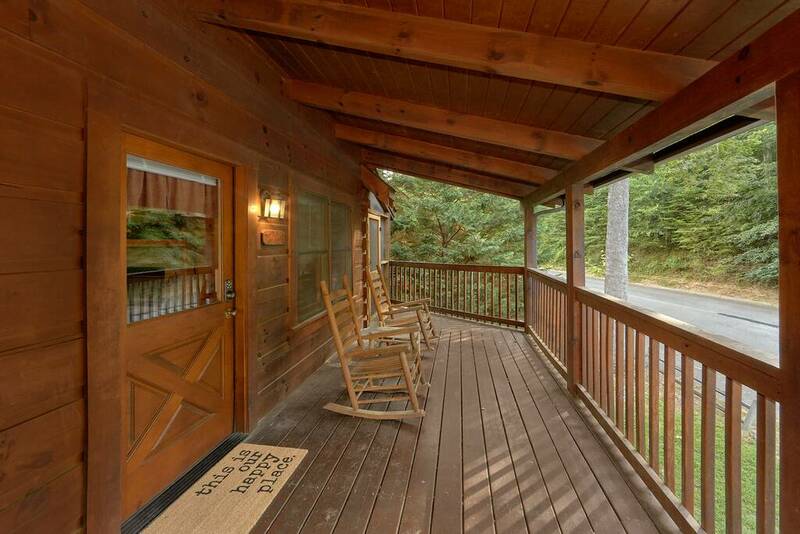 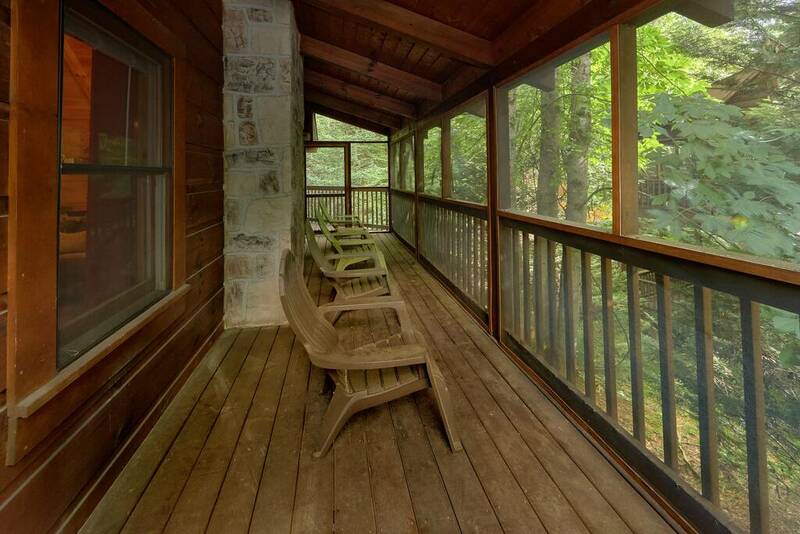 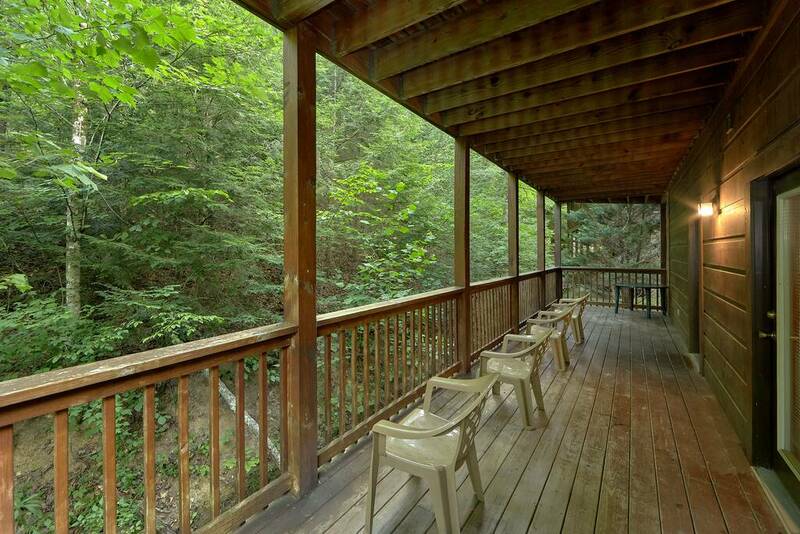 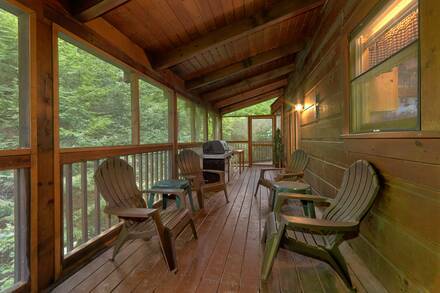 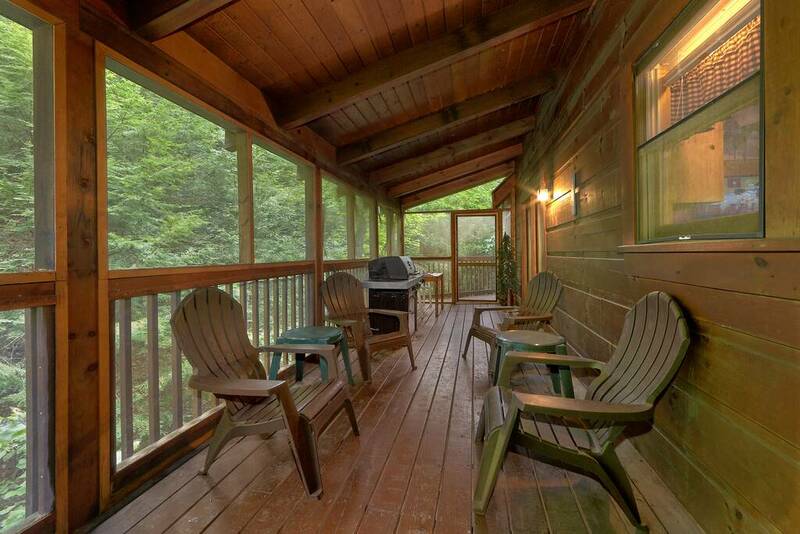 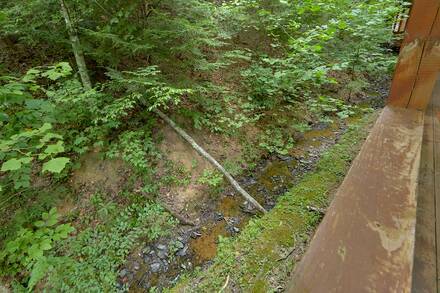 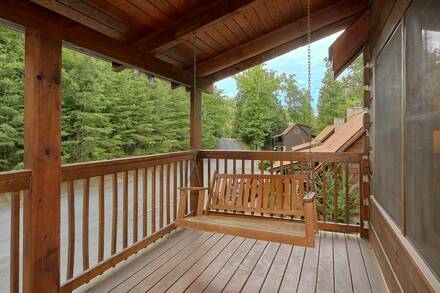 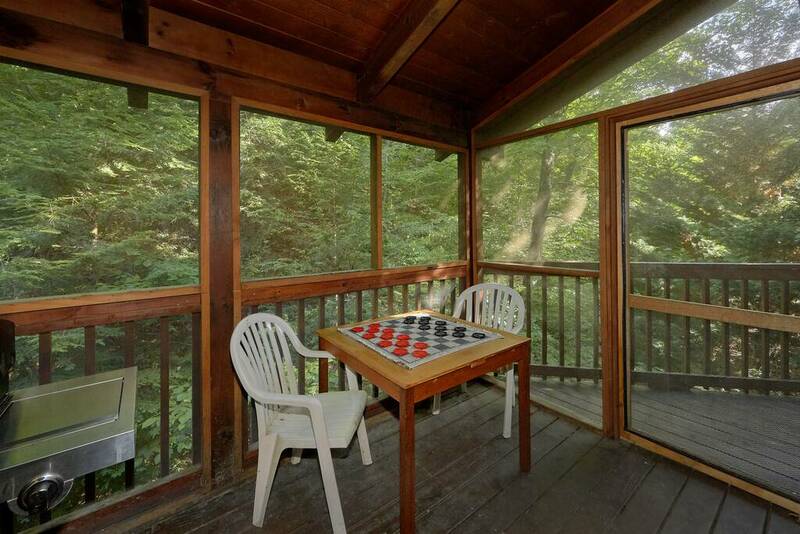 With a front and back porch, there are plenty of places to slip away for some alone time. Enjoy the woodland scenery from a rocking chair or slip into your swimsuits and enjoy the hot tub on the covered back deck. 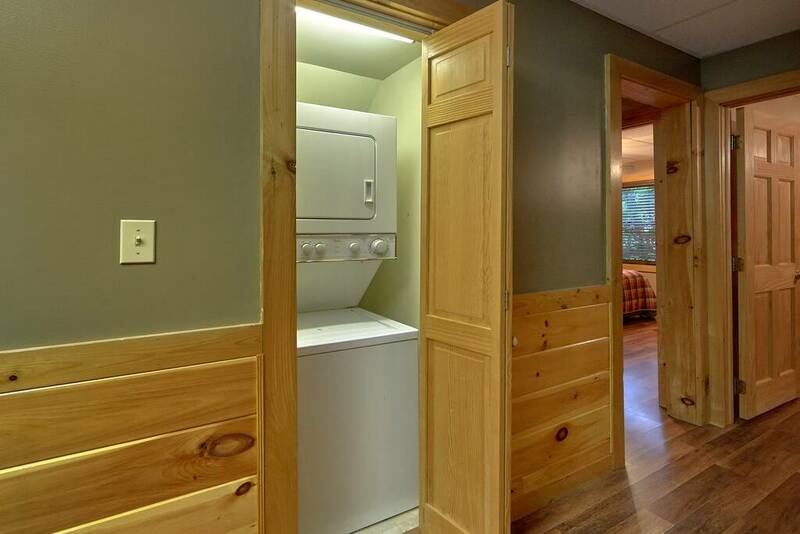 Few large cabins in Pigeon Forge can sleep 14, so book now and look forward to easy access to the Great Smoky Mountains National Park, amusement parks and outlet malls in Pigeon Forge, and the attractions in Gatlinburg.